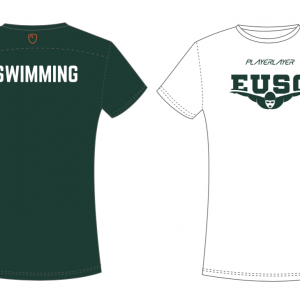 A bespoke EUSC PlayerLayer poolside top with our logo on the front. 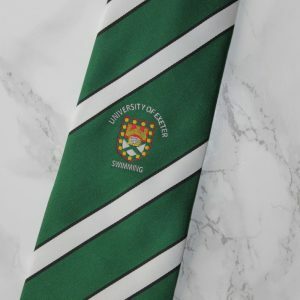 High quality custom designed University of Exeter Swimming Club tie. 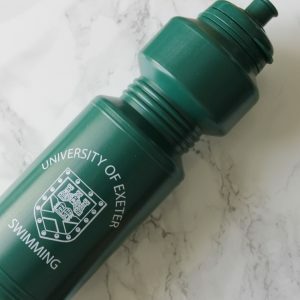 An essential item for anyone wishing to attend socials. 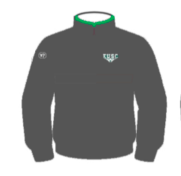 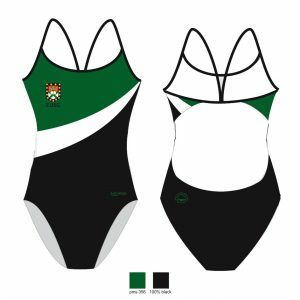 Young Ones polar Quarter Zip Fleece with a green trim around neck, EUSC logo on breast, ‘University of Exeter Swimming Club’ in white on the back and young ones logo on the sleeve. 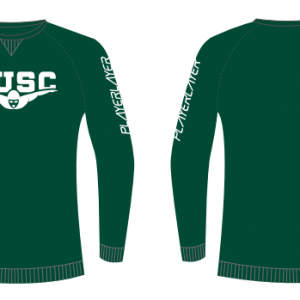 Fits slightly larger than traditional sweatshirts due to material. 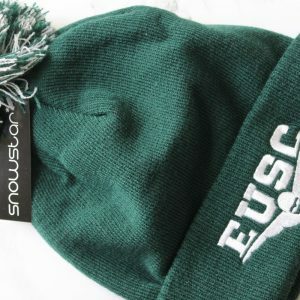 A green bobble hat, with our EUSC logo embroidered in white on the front. 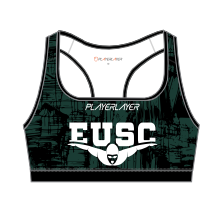 NEW TO 2018- Bespoke PlayerLayer Sports Bra with logo on front and black and green patterning- wear to our Circuits sessions on Fridays, to the gym or for a run! 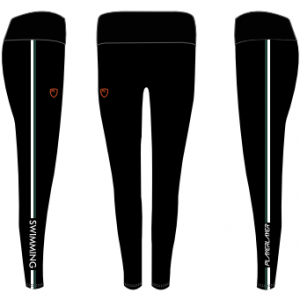 A bespoke pair of PlayerLayer leggings, with the university colours stripe, and swimming customisation. 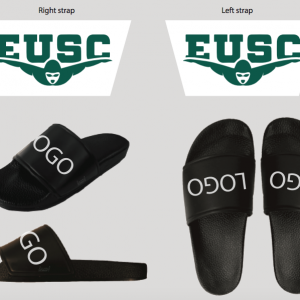 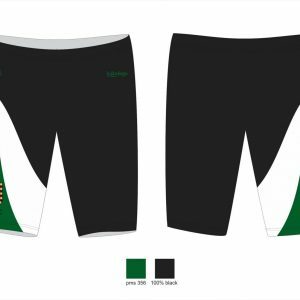 ALL NEW TO 2018 personalised club sliders with black sole, white strap and green EUSC logo! 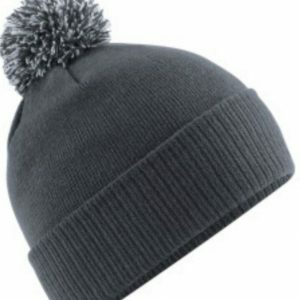 A grey bobble hat, with our EUSC logo embroidered in white on the front. 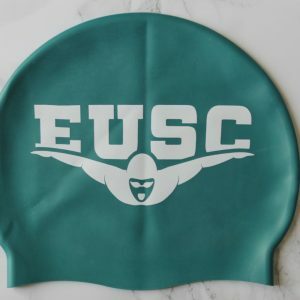 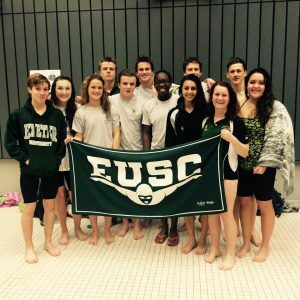 High quality bottle green swim cap with white EUSC logo. 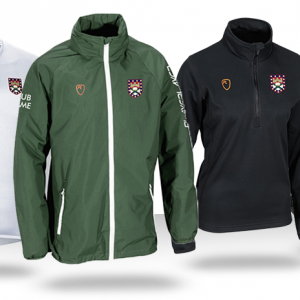 Wear to training and competitions!